both the hosts were extremely hospitable. They emailed in advance in order to coordinate a pickup and drop off from the port and even refused the tips we planned to give them as they "don't take tips". Also, the free breakfast was delicious and the view from our room was OUT OF THIS WORLD. The location is also wonderful as the main city square is a short walk (5 mins or less) from the accommodation. Additionally, multiple buses for various beaches leave from the square so it was as if we lived next to a hub that connected us to everything. Being next to the city square was also great for groceries, coffee, amazing restaurants, and spectacular nightlife. Lastly, my personal favorite beach (mylopotas) was a short 20 min walk and the walk itself was beautiful. Can't express enough how great the location is of Spyros place. The bed sheets were changed often and the host often asked if there was anything we needed. Spyros was a great host, the room was clean and for the price we paid was big enough. Breakfast was alway delicious (the Greek yogurt with honey was just the best we had ever tasted!) and the lady serving us was amazingly sweet and kind. 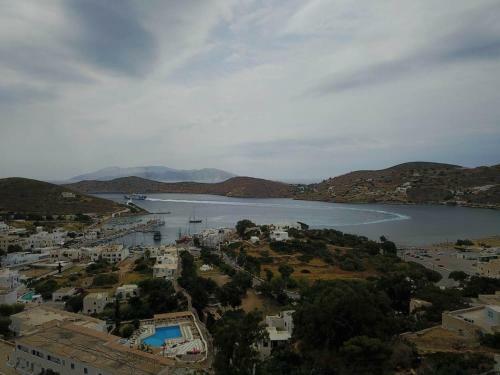 Great place, great position, only 10 minutes walking from the central Chora. I would suggest it to everybody who's looking for a quiet place to spend a special holiday. The service Spyros provided to us during our 2 nights stay was Amazing and lovely. We were given a lift to and from the port as well as light breakfast every morning If we wanted for free. The rooms were clean, the bathroom was small yes as per normal with most Island toilets however the view from our little balcony was superb. One of the most relaxing stays I've had for a while. The town is literally a 5 minute walk from here, its was the best location. Thanks Spyros and will highly recommend people to stay here when they travel to Ios. Perfect location to the town and pubs. Close to supermarket. Staff were helpful and friendly. Would recommend it to friends! Ho apprezzato la posizione davvero ottima e centrale, la colazione ottima, lo staff sempre sorridente e poi la gentilezza di Spyro che ci ha scarrozzati anche a fittare il motorino!! Staff eccellente. Lock in a great price for Spyros Place – rated 8.3 by recent guests! 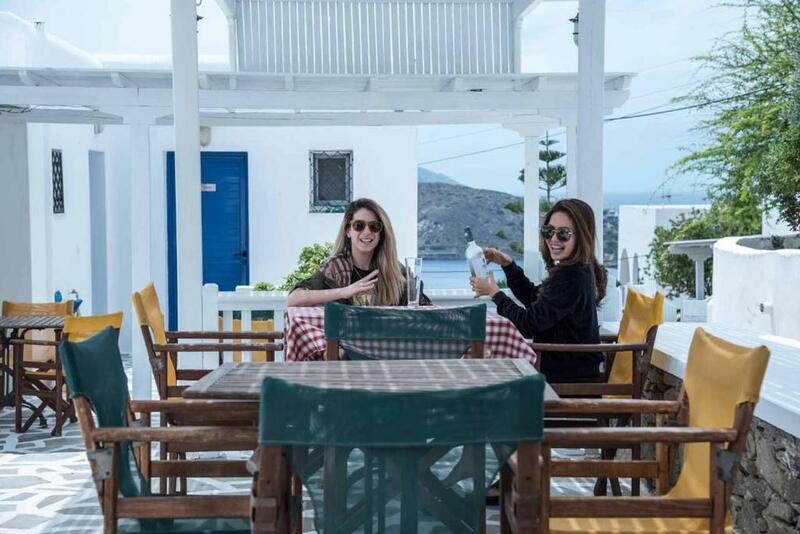 Centrally located in Ios Town, Spyros Place features a hot tub and an outside snack bar for drinks and light meals. It offers self-catered accommodations with Aegean Sea view. Free Wi-Fi is available in public areas. Opening to a balcony or shared patio, all studios have a kitchenette with cooking hobs, fridge and kettle. Each is fitted with air conditioning and a private bathroom with shower. Spyros Place organizes complimentary film nights daily at the communal stone-paved terrace. Free transfer from Ios Port, which is at 0.9 mi, is provided to all guests. The property is around a 3-minute walk from Gialos Beach and 1.6 mi from Mylopotas Beach. Several entertainment and dining options can be found within a short stroll. Free parking is possible nearby. 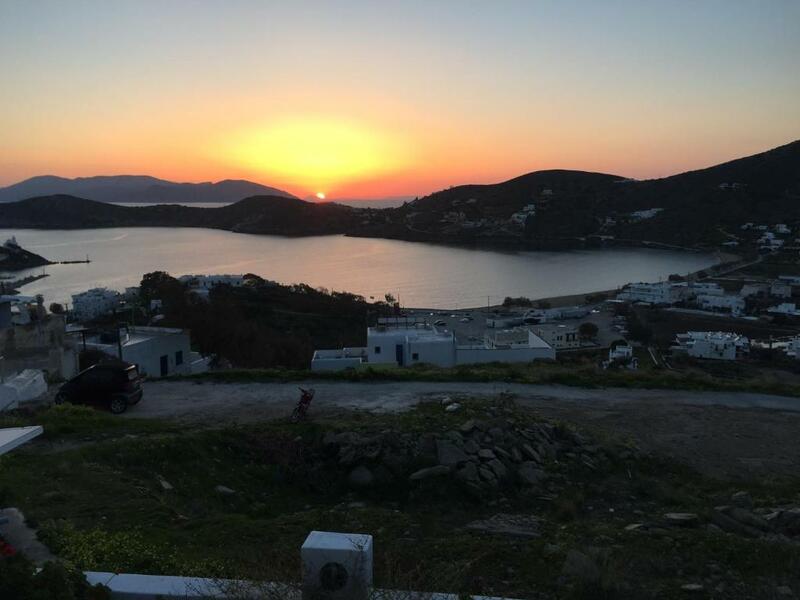 When would you like to stay at Spyros Place? Opening to a balcony or shared patio, this air-conditioned studio offers views to Ios Port and Town. It features a kitchenette with cooking hobs, fridge and kettle. This twin/double room has air conditioning, electric kettle and sea view. House Rules Spyros Place takes special requests – add in the next step! Spyros Place accepts these cards and reserves the right to temporarily hold an amount prior to arrival. Please note that the hotel offers free transfer to/from Ios Port. Guests are requested to inform the property in advance if they wish to make use of this service. Contact details can be found on the booking confirmation. The bathroom smell was horrible. Too much noise at night. Need earplugs to sleep. I do not recommend this place. Rooms have a bit of an old look but still comfortable and clean. As you usually don't spend much time in the room, it is perfect for the price.